The Yellow Pages and other phone books are quickly becoming obsolete. Mailouts, and even catalogues, are now considered “junk mail.” And thanks to DVR, everyone fast-forwards through television commercials. Traditional marketers have a big problem on their hands. What to do?! Let’s take a look at some ways you can efficiently transition your marketing tactics from traditional to digital. 1. Use digital marketing techniques to make the most of your budget. Large corporations usually have the budget and corresponding task force to create and implement multi-media marketing strategies. But, usually, this just isn’t so for smaller businesses. This is when it makes the most sense to go all in on just one type of marketing. In this case, we’re talking digital marketing. A. You get so much for your money. B. You can easily track your online ad success. C. You will reach a larger volume of people. 2. Embrace Google+. Basically, Google+ is Google’s answer to Facebook. However, Google+ has an advantage over the social media giant: its ability to increase a company’s organic search results. That’s right, simply using Google+ can greatly enhance your SEO strategy. Learn more about Google’s own social network in our post dedicated entirely to the subject. 3. 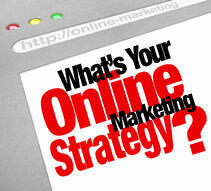 Enhance your traditional advertising by adding a nod to your online presence. If you’re just not ready to ditch traditional, outbound marketing all together, that’s ok. There are a few things you can do to transition your marketing tactics. For example, if you are an attorney who takes out a large ad in (eeek!) Yellow Pages each year, you can add a link to a separate landing page online. Then, on the landing page, you can set up a call-to-action button and a lead capture form. Look at you go! 4. Interact meaningfully on social networks. You probably know this drill. Set up pages on the social networks that your customers use most heavily. So, if you’re an HVAC company you may not see much action on Pinterest. But, if you’re in the design industry, then, by all means, get your business on Pinterest! From here, post quality content like relevant news, helpful blog posts, and videos, all of which should ultimately link back to your website or landing pages. 5. Check out WordPress. This is a content managing system that allows its users to update their sites themselves. It’s easy enough to use that any business owner can pick it up quickly. 6. Create buzz with viral marketing tactics. We’re sure you’ve heard of a YouTube video “going viral.” Viral marketing operates on the same concept. Create video clips (interesting ones!) and place them on YouTube or Vimeo. Then, distribute them on your social networks and watch them go…viral. 7. Invest in content creation and management. This is a major trend in marketing right now, and, as a digital marketing agency, we can attest to its significant value. In fact, we believe in it so much that we are dedicating our own marketing budget to blogging and other forms of content creation. 8. Give your website some real attention. Our advice to you is to allocate some room in your budget for sprucing up your website, if you haven’t already done this. Regardless of your type of business, your potential clients are expecting a polished, modern, and professional-looking website. No question. 9. Embrace the empowered consumer. Thanks to technology, consumers are empowered in all sorts of ways to avoid traditional advertisements. This means that in order to make a positive impact with your customer, you have to go above and beyond to provide an experience that, in turn, makes that customer a) want to buy more of your product or service and b) go out and recommend your company to their friends, family, and colleagues. In order to create that above-and-beyond experience, you have to meet your customers where they spend their time—on the Internet. Nervous about making the switch? Consider this industry prediction: By 2015, companies will allocate double the funds for digital marketing tactics than they will for traditional means. Are you convinced?